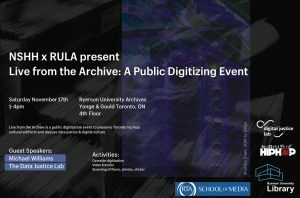 A public digitization event on Saturday, November 17th from 1-4 p.m. on the Library’s 4th floor to preserve Toronto hip hop cultural artifacts and discuss data justice & digital culture. We will be working towards capturing Toronto’s analogue hip hop history and preserving many items such as copies of the Fantastic Voyage Show, street magazines like Word, and flyers from events. Come thru and get your VHS transferred, cassettes digitized and flyers/photos preserved. 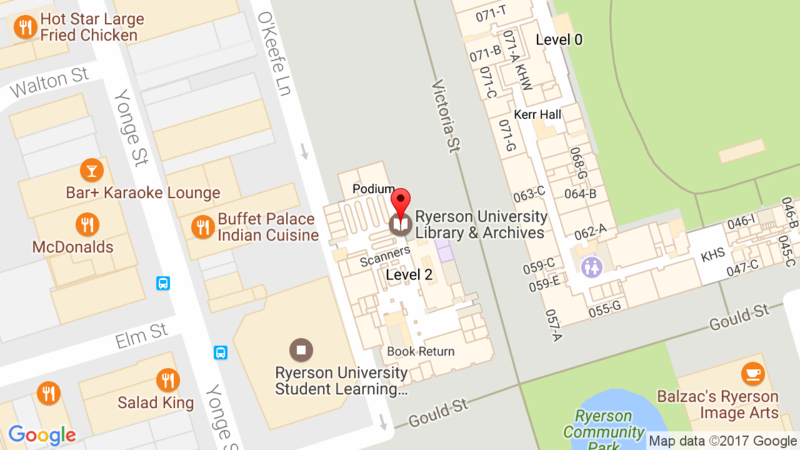 We’ll have digitizing stations available, with the assistance from Ryerson University librarians and library staff, including two stations dedicated to audio cassettes, two stations with scanners and two stations with VHS players. Librarians will also be educating the community on the need to digitize and preserve content because all tape-based formats created in the 20th century are becoming obsolete. LCD panels we will be broadcasting the documentary 1-4, which chronicles the 1-4pm Radio time slot on CKLN where 4 critical Hip-Hop shows were broadcast. Guest speakers will include former VJ Michael Williams and a representative from the Digital Justice Lab. Register to let us know you’re coming! All are welcome.